When I started my business, I paid my former employer $2,500 for her client list. How do I record this? John Day, MBA has a great article on Starting or Buying a New Business that you might want to read. It explains how to record your initial bookkeeping entries on the purchase of a business ... or some of its assets. Your customer list purchase is an intangible asset on your balance sheet. Set it up as an Other Asset in your chart of accounts. Your entry will be Debit Customer List and Credit Cash in Bank if you paid for it through your bank account. Are there any resources to refer to on the bookkeeping behind the purchace of a business if one business purchases all of the assets of another business and there is also goodwill involved? I am not going to be recording this transaction but I just wanted to understand the concept behind it all so I have an understanding of what's going on. It is just making me edgy because it has been left blank for now for the chartered accountant to do the transaction later on. I just wanted to be one step ahead and curious has to whether there is GST involved bewteen the companies in these types of transactions such as on the assets and goodwill? And how they are going to book the transaction. Even though I am not recording it is giving me a headache thinking about it everyday. I just started thinking about it one day while I was doing the bookkeeping and now my brain is scattered with a lot of questions and thoughts everywhere. Sorry about this. I just have a wandering brain that thinks about things all the time and uncontrollable. That's why my friends nicked name me "Curious George" for short. I moved your post as a similar question has already been asked. 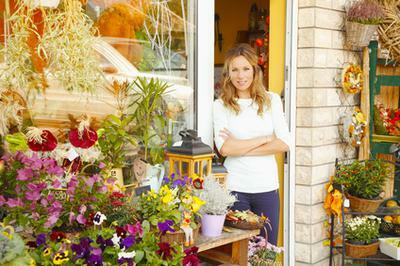 Check out John Day's article on Starting or Buying a Business. It will give you a general understanding of what happens when a business is purchased. Sorry, you didn't provide an email address so I can only hope you see this post. If a company purchased a client list from another company and the company that purchased the list is paying $0.35 on the billings to the seller company. How should I record this? Martin, a client list is an intangible assets. See the posting above on how to record intangible assets such as client list purchases. I am purchasing an existing corporation business for $100K. The fixed assets are worth $30K and the rest is based on goodwill. I am repaying the previous owner over a period of time. What would be my accounting entry? Remember you are buying shares in a corporation so you also have to account for the shares you purchased.